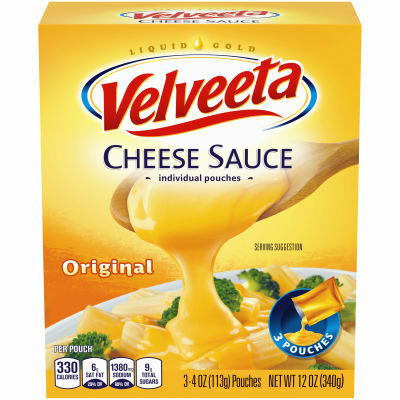 For whenever cheese cravings strike, Velveeta Original Cheese Sauce is there to satisfy them. Add a cheesy flavor to any of your meals with this soft, smooth, and creamy cheese sauce. From nachos and to an easy home made mac & cheese, this cheese sauce is perfect for any dish that calls for quick and convenient cheesy flavor - just melt it and enjoy. This package contains three 4 oz pouches.